Fully flexible In-Home Childcare. Available 24/7 364 days a year. Ideal for Dairy Farmers starting at 5am to Mothers needing respite or even time-out to go to the gym. PAUA promotes an Individual Learning Programme for your child. Parents love the ever-changing supply of stimulating age-appropriate educational toys & puzzles that aid learning objectives. Plus, each month you receive Photographic Learning Stories - reports about your child's progress as seen by their Visiting Teacher. See website for examples. We also have playgroups, community outings, Christmas breakups and more! PAUA offers free support and advice for Educators. Parents pay Educators directly - not via PAUA. As such, many of our Educators are Grandparents looking after their grandchildren. Free 20Hours ECE and WINZ Subsidies are available for Children Over 3 years. PAUA is a unique and innovative service that encourages Christian values for Central and Lower North Island and Christchurch families . Visit our website or call today for more information! At PAUA Early Childhood we believe our Children are âÄ tÄtou taonga mo Äpopoâ - our Treasures for Tomorrow. 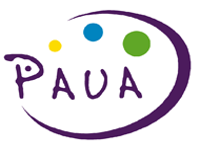 PAUA (Preschoolers At-home Uniquely Achieving) is a home-based ECE service operating in Wanganui, Christchurch, and Auckland. Our philosophy is similar to a paua's shell with brilliant colours that form through the process of environment and time. Our service strive for a holistic approach, to enhance the environment which affect the "colour" of each individual related with our service.